Esther A. 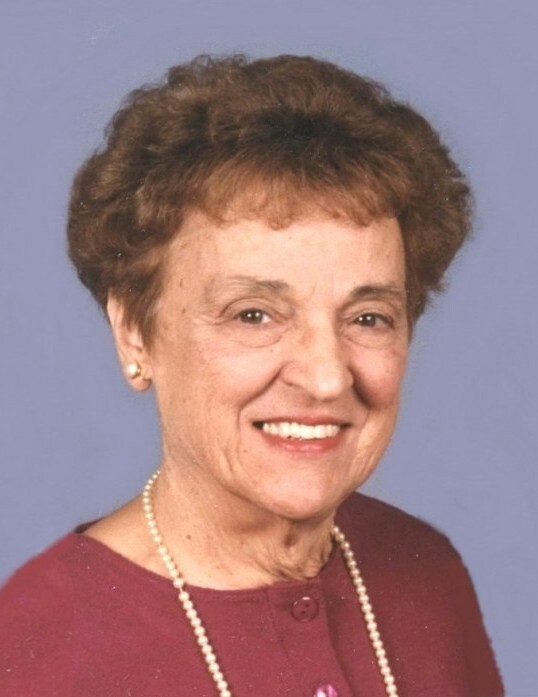 (Monti) Bello, 94, of Providence, passed away peacefully on Tuesday, January 22, 2019 surrounded by her loving family. She was the wife of the late Lawrence “Larry” Bello. Born in Providence, she was the daughter of the late Vincent and Mary (DelSesto) Monti. She had lived in North Providence before returning to Providence in 1967. She was also a resident of Eastham, MA. Mrs. Bello was head of the North Providence High School Math Department for many years before retiring. A 1946 graduate of Pembroke College, now Brown University, she continued her studies at Providence College where she earned her Master’s Degree in 1977. A loving and devoted mother, grandmother and great-grandmother, she is survived by her three children, Stephen Bello and his wife Louise, Nancy Coyne and Lorraine Bello; five grandchildren; Maria Coyne, Catherine Winters, Michael Coyne, Marissa Black and Robert Bello; and 2 great-grandchildren, Johnny Winters and James “Trey” Black, III. She was the mother-in-law of the late Jack Coyne and was the sister of the late Vincent Monti. Her funeral will be held Monday, January 28, 2019 at 9 a.m. from MACERONI FUNERAL HOME, 1381 Smith Street, North Providence, followed by a Mass of Christian Burial at 10 a.m. in St. Augustine Church, 639 Mount Pleasant Ave., Providence. Burial will be in St. Ann Cemetery, Cranston. Visitation Sunday 4 - 7 p.m. In lieu of flowers, donations in Esther Bello’s memory may be made to the St. Anthony Outreach, 5 Gibbs St, No. Prov., RI 02904 or Eastham Public Library, 190 Samoset Road, Eastham, MA 02642.